Ultimate breakfast sandwiches are back on the menu using these Keto Bagles and we are pumped! We are both huge breakfast lovers so anything remotely related and we are on board. 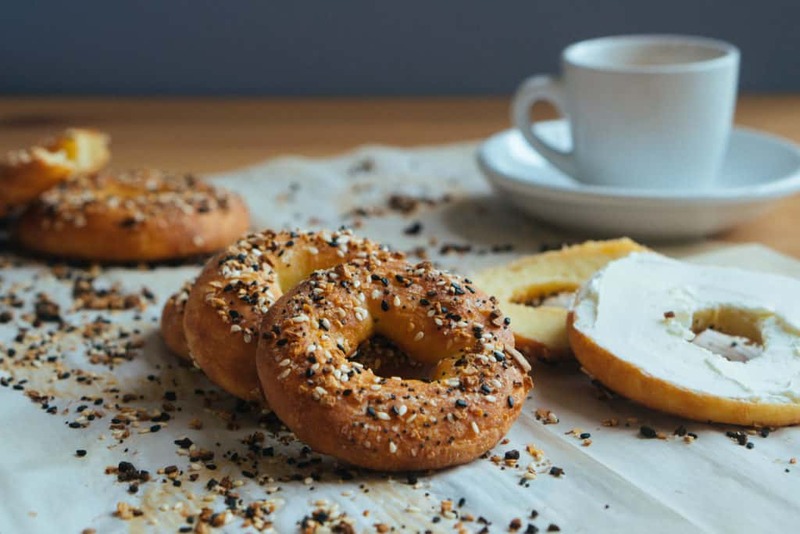 Make these low carb bagels for your family and no one will even know the difference. Why We Don't Love Fathead Dough. Feeding a large group and you need to whip up something quick! 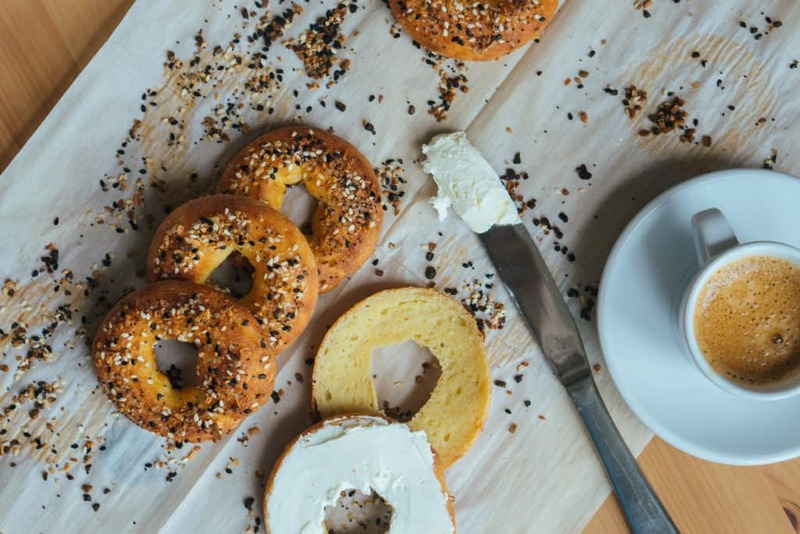 Wanting to satisfy your bagel cravings without all the carbs! Not something we would eat everyday, but definitely a recipe we love to have on hand! Our Favorite Keto Breakfast Recipes! If you're not a breakfast lover, not a big deal! Don't forget that you can always have dinner for breakfast. Sometimes a bowl of keto chili sounds like the perfect way to start my Monday off, and I do just that! Fathead dough isn't just for pizza. You can seriously make anything you want using this dough and it will turn out good! Whoever created the original recipe, we have you to thank because people are always using fathead dough to create delicious recipes all the time. Bagels were always one of those foods I could never have just one of, but always felt a little bad when I did. I had to remind myself "I'm eating 5 slices of bread" whether or not that was true. 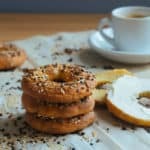 Now, I can eat keto bagels without the guilt or the carbs. Recipe can be quickly added to MyFitnessPal - Search "KetoConnect - Keto Bagels"
Add the mozzarella and cream cheese to a microwave safe bowl and microwave on high for 30 seconds. Stir to combine using a fork and then microwave for another 30 seconds until fully melted. Add in the almond flour, egg and baking powder and combine using the fork and then your hands or a spatula until uniform in texture and consistency. Divide the dough into 6 evenly balls. Roll each ball out into a thin log using your hands and form a circle onto the parchment paper. Repeat with the remaining dough. Lightly brush the top of each bagel with some water to help the seasoning stick better. Sprinkle on desired seasoning and press down lightly with your fingers.